Addiopizzo Community, cultural organization promoting social tourism, born as a branch of Comitato Addiopizzo ONLUS, has achieved another goal: the creation of a bike itinerary in Sicily, in the area of Palermo and Corleone. This is the output of a project started in 2011 within the ‘Sensi Contemporanei – APQ Dynamic Systems for Tourism’ Programme, promoted by the Italian Department of Development and Economic Cohesion and by the Sicilian Department of Tourism, Sport and Entertainment. Approved in 2010 but started in 2011, the project aimed at the creation of new opportunities for tourism in the Sicilian territory by the planning of two innovative touristic itineraries: one of them focusing the sites of cinema and literature in Sicily, and the other meant as a bike trip in the undiscovered areas of Sicily. At the end of the planning phase, Addiopizzo Community presents the result of this project at one of the most important international tourism event. 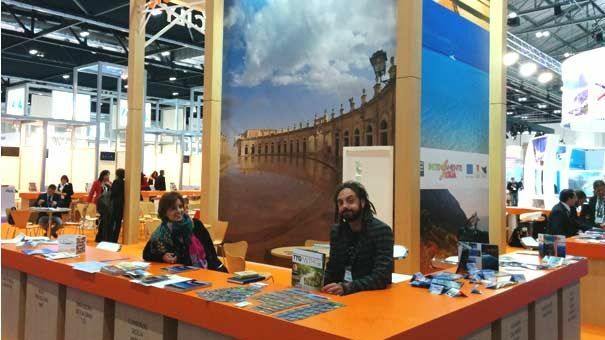 With the participation of the representatives of Sicilian Tourism Department, Addiopizzo Community shows the opportunities for an innovative, responsible and environmental-friendly tourism in Sicily. “The bike tour - says Edoardo Zaffuto, one of the founders of Addiopizzo Community – came out by a strict synergy between the public and private sectors, involving experts of touristic planning and active vacations, representatives of national and regional Institutions, cyclists, hotel owners, restaurateurs, guides, museums, voluntary organizations and the local network of the Addiopizzo ‘mafia-free’ business”. From Palermo to Corleone, places where the Mafia was born and subsequently thrived, the winds of change are blowing. An entire generation of people have said no to the Mafia and are building a new Sicily. The visitors can feel it while cycling along coastlines, country roads void of traffic, trails which give way to stunning panoramas and cycle lanes engulfed in greenery, often following the tracks of abandoned railroads. All of the accommodation, from the agriturismi (Italian farms) to the hotels, are part of the Addiopizzo network: therefore certified as Mafia-free. They are the perfect places to relax and to take in the silence, the landscapes, smells and the delicacies of both sea and countryside. “The Bike Tour - says Edoardo Zaffuto - offers amazing landscapes, the most authentic flavours of rural Sicily and genuine and welcoming people. Come to the heart of Sicily, and you will return with Sicily in your heart”.